Superfruits are really just that – “super fruits” to have in your diet. For years now, superfruits have been the buzz among nutritionists and health conscious people, but what exactly are they? 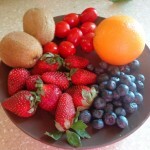 Simply put, they are fruits found to have a higher than average level of nutritional value and antioxidants. 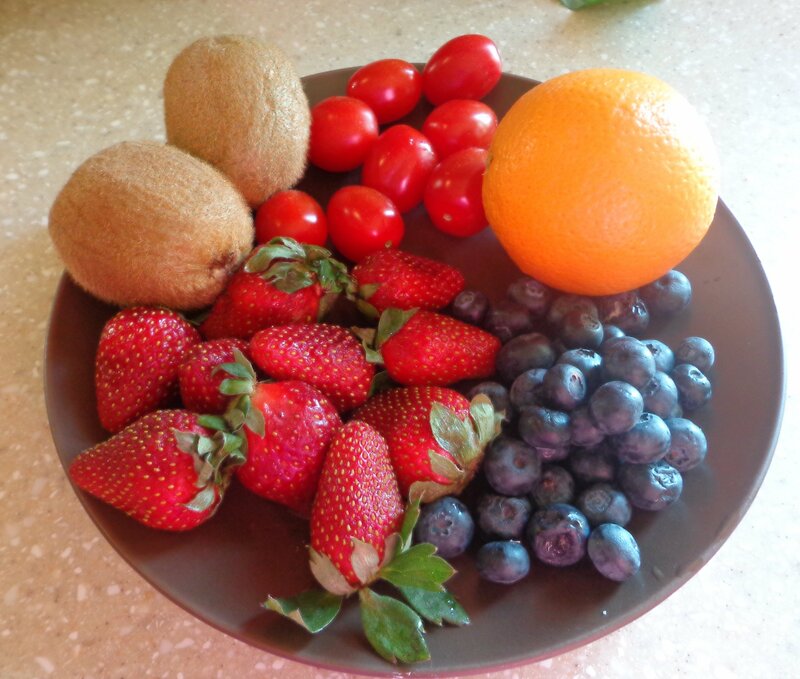 Antioxidants are the good guys. They protect our cells from free radicals, or unstable molecules, which cause damage, illnesses, and possibly even life-threatening diseases such as cancer. There are roughly 25 fruits classified as superfruits. Depending on which research study you look at, this number can be more or less. Kiwifruit – These green jewels are low in calories and have more vitamin C than oranges. They are also an excellent source of vitamin K, which is necessary for blood coagulation and maintaining bone health as we age. Oranges – This delicious fruit is high in vitamin C and is an excellent source for thiamine and potassium. Thiamine supports the body’s immune system and is necessary to convert carbohydrates into energy. Potassium helps nerves and muscles communicate. It also moves nutrients into cells and waste out of cells. Blueberries – These are a great go-to fruit to add to your cereal, oatmeal, yogurt, and smoothies. They are known to help improve brain function and memory. They are also high in vitamins C and K, and are a great source of manganese, which supports your metabolism. Strawberries – They are high in vitamin C and are a good source of folic acid, which helps the body make new cells and is necessary to maintain heart health. Like the blueberries, strawberries are great to add to cereal, oatmeal, yogurt or smoothies. Apples – They are a good source of fiber and when eaten with the skin left on, they contain quercetin, known for it’s anti-histamine and anti-inflammatory effects. Cantaloupes – This sweet fruit is an excellent source of vitamin C, vitamin A, and potassium. Vitamin A is the vitamin known to help skin grow new cells, giving you a healthy glow. It is also important for maintaining healthy bones, eyes, and teeth. Grapes – They contain an antioxidant known as resveratrol, which promotes a healthy heart. They are also a good source of Vitamin K and maganese. These make great snacks to satisfy a sweet tooth. Grapefruit – This fruit is a good source of vitamins A and C and is known to help lower cholesterol. This is a great addition to a healthy breakfast. Cranberries – These little tart fruits support a healthy urinary tract and are known to increase HDL (good cholesterol) levels. The dried cranberries that are packaged as a healthy snack work just as well as the fresh ones. Bananas – These favored fruits are a good source of fiber, vitamin C, Potassium, Maganese, and Vitamin B6. Vitamin B6 helps the body make antibodies so that it can fight off illnesses. Keep in mind that bananas have a higher calorie count than many other fruits. I love to put bananas in smoothies with lower calorie fruits and vegetables, like spinach and blueberries. What are some of your favorite superfruits, and why?